While Craigellachie is giving away its next round of 51 year old in New York City, more new whiskies are rolling out. A big shakeup is coming for Balblair’s single malt whiskies: The core lineup is moving from being vintage-dated releases to age-statement bottlings. There are advantages and disadvantages to the change—age statements are an easy benchmark to understand compared to vintages, which might be released multiple times at successively older ages. (For Balblair, you’d have to check the smaller print on the label to see which release you’d picked up and how long it had aged before bottling.) 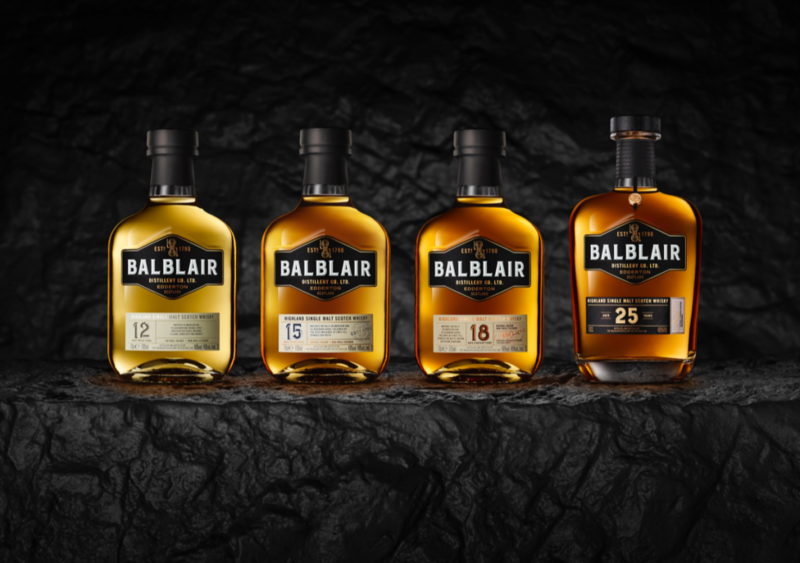 Balblair’s new lineup includes 12, 15, 18, and 25 year old whiskies, each bottled at 46% ABV and matured in ex-bourbon and/or ex-sherry casks. 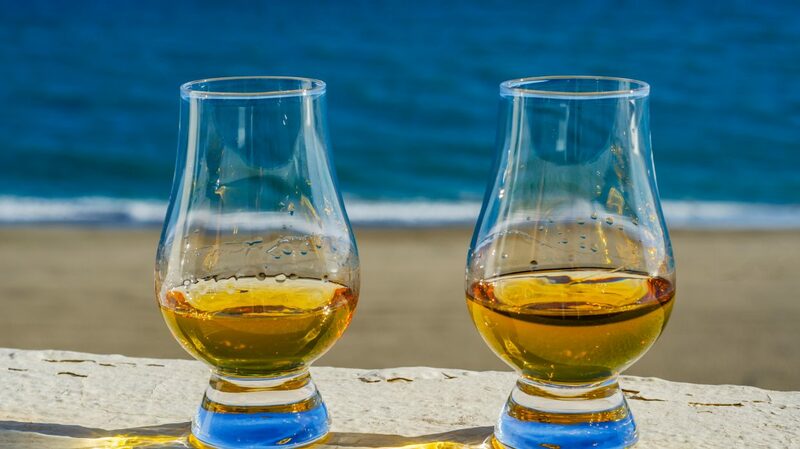 The company stated in a press release that the new whiskies are distinct and unique, but fall in line with Balblair’s house style. The new line is rolling out now overseas, but will not arrive in the U.S. until 2020, and U.S. pricing hasn’t been set. (UK pricing ranges from £45 to £500.) Whisky Advocate will report further once we get full details on when you can expect to see these bottles on shelves, and what they’ll cost. Stay tuned! On the other hand, vintage releases continue apace for Bruichladdich, which is rolling out the latest bottling of Islay Barley. The 2011 vintage replaces the earlier 2010 vintage, which was named number 9 in the 2017 Top 20. It will be widely available for $70—though, of course, eventually it will be replaced by a newer vintage. 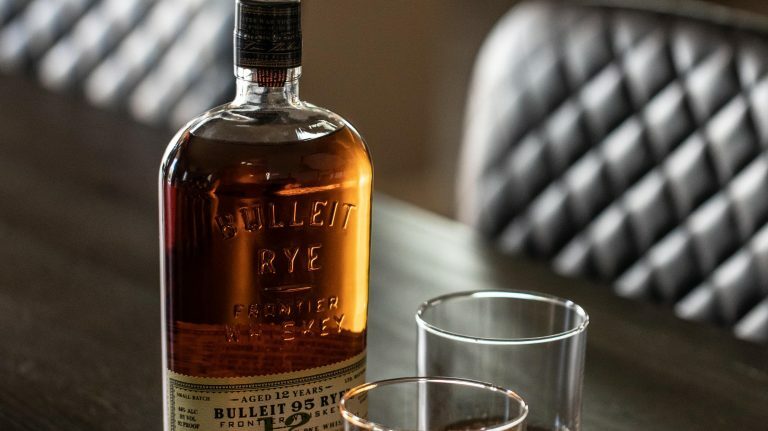 Sazerac—the parent company of Buffalo Trace, among many other brands—has created a blend of American and Canadian whiskies in honor of Sam Bronfman, the legendary patriarch of the Seagram’s company. (Sazerac owns several former Seagram’s brands.) 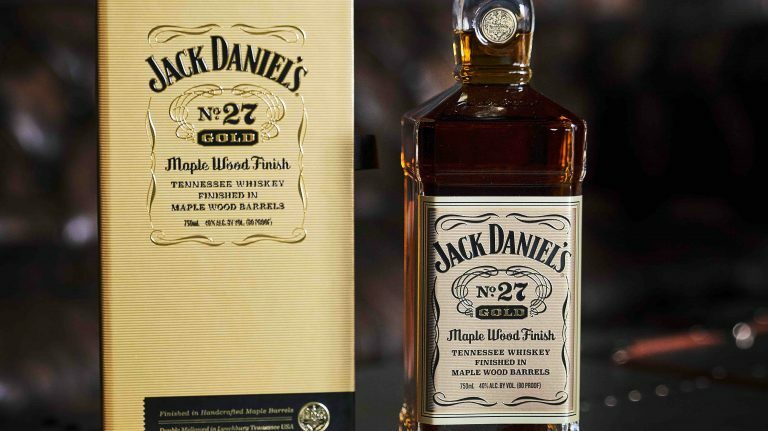 The limited-edition whiskey will be released annually; just 1,200 bottles are available this year, priced at $250 each. The annual allocation of Blade & Bow 22 year old is rolling out. 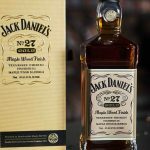 Although the whiskey itself is no older than past releases, the price has gone up to $300, presumably because there’s less liquid with each successive bottling. 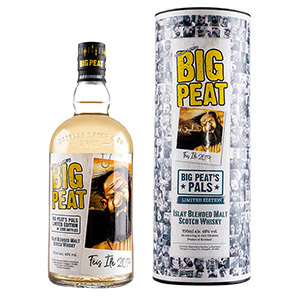 A limited-edition Big Peat blended malt is being released in honor of the brand’s tenth anniversary and the 2019 Fèis Ìle (Islay Festival of Malt and Music), which takes place in May. Big Peat’s Pals comes in a tube adorned with the faces of over 400 Big Peat drinkers and costs £45. It will not be for sale in the U.S. Finally, Compass Box has a new product, but it’s not a whisky. Affinity mixes blended malt scotch with calvados apple brandy, meaning it’s classified as just a spirit—quite an unusual one at that. Just over 6,000 bottles are available, priced at $150. Read on for full details. 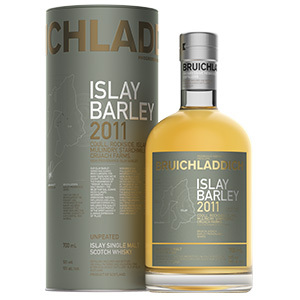 The newest vintage of Bruichladdich Islay Barley, this 2011-dated release replaces the previous 2010 vintage. This single malt is made with Publican and Oxbridge barley grown on Islay (of course), and matured in first-fill ex-American whiskey barrels, first-fill Rivesaltes wine casks, and second- and third-fill sauternes and Austrian sweet wine casks. Bruichladdich Islay Barley 2010 was number 9 in the 2017 Top 20, so we have high expectations for the new vintage. Each batch of Islay Barley is necessarily different, however; that’s kind of the point. 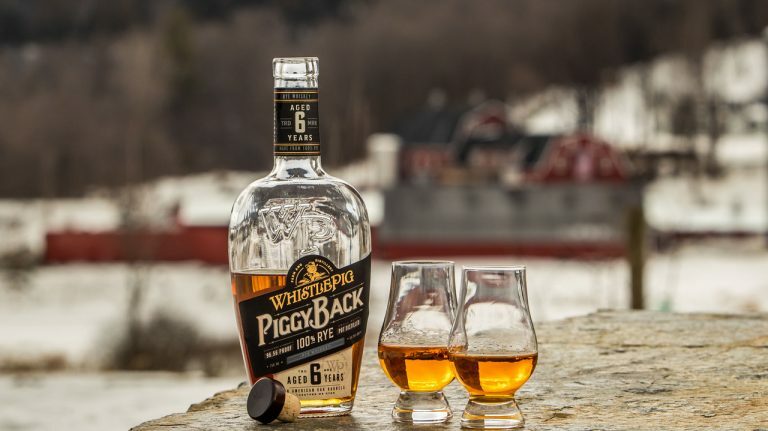 Made from just three ingredients—grain, yeast, and water—whisky is very much an agricultural product, and consistency from harvest to harvest isn’t a given. Add in the layers of difference from variations in cask maturation, and you have a distinct whisky each time. The goal is for quality to remain the same, however—and we’ll be determining that with a review for this latest vintage. Stay tuned! 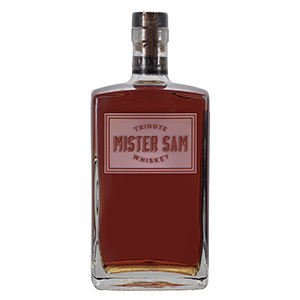 A blend of unspecified whiskies from the U.S. and Canada, this bottle commemorates Sam Bronfman (“Mister Sam” to his employees), the head of the Seagram’s company for much of the 20th century. It is blended at Old Montreal Distillery—one of Canada’s newest, and yet also oldest, distilleries—by master blender Drew Mayville. Old Montreal Distillery is owned by Sazerac, but master blender Drew Mayville spent 22 years of his career working for Seagram’s—so it seems fitting that he would put together this blend honoring the company’s longtime patriarch. The whisky is a limited edition that will be released annually. It comes packaged with a book about the Seagram’s company history, From Little Acorns, written by Bronfman in 1970. This is the yearly release of Blade & Bow 22 year old. The liquid straight bourbon is the same as in previous years, but priced a bit higher, at $300 rather than $250. A little bit of Blade & Bow 22 year old has been released every year for the last five years, always at successively higher prices. But the whiskey isn’t getting any older because it’s no longer in barrels. Availability: 3,300 bottles for the world; not available in the U.S.
2019 marks the tenth anniversary of the release of Big Peat, and in honor of the occasion, blender Douglas Laing & Co. will host a virtual birthday party and online tasting on the brand’s Facebook page during this year’s Fèis Ìle in late May. Unfortunately for American fans of Big Peat, this bottling will not be available stateside. 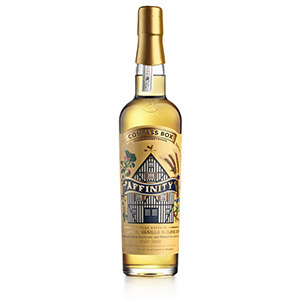 This is not a whisky, but because it comes from Compass Box, it’s worth sharing with Whisky Advocate readers. This spirit combines 62.5% blended malt scotch whisky with 37.5% Christian Drouhin Pays d’Auge XO calvados, an apple brandy made in Normandy, France. Like all Compass Box whiskies, full details on the recipe can be found on the website. Late last year, Compass Box released Stranger & Stranger, a “not quite whisky” spirit that included a small amount of scotch grain whisky aged less than three years (in Scotland, all whisky must be aged at least three years). Now they’ve unveiled this cross-style blend of whisky and brandy—pretty groundbreaking, although a few other brands have blended across styles before, like Alberta Rye Dark Batch (Canadian whisky, bourbon, and sherry) and Basil Hayden’s Dark Rye (rye and sherry). Such blends might not be for everyone, but around here, we know and trust the masterminds at Compass Box, and I’m willing to bet this spirit will be every bit as high-quality as the company’s whisky releases. 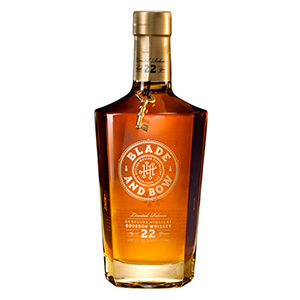 Plus, Town Branch Distillery in Lexington is rolling out a single malt, while Blaum Bros. has released a 4 year old straight bourbon. 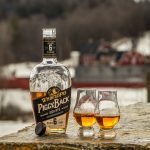 Plus, there’s new Kentucky Owl bourbon, scotch from BenRiach, Glengoyne, and Tamdhu, an updated Stranahan’s, cask-strength English single malt and more craft whiskey. 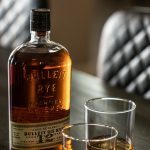 A single malt from Belgium is coming out, Westland has a new April Fool’s Day release, there’s a Ray Donavan whiskey, and more.